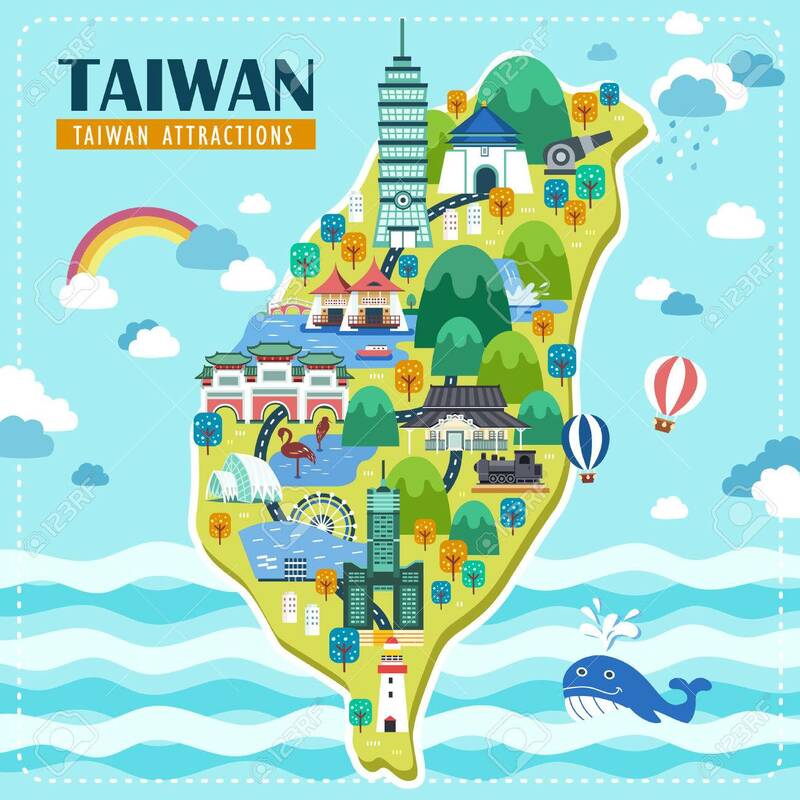 In this exciting round-Taiwan tour, you’ll be visiting the top sights, enjoy outstanding cuisine, and marvel at the pristine and diverse nature of this wonderful island of Formosa. This relaxing tour allows you to explore Taiwan free of stress. It is an 8-day Family - customized tour to enjoy the landscape and let your kids have fun! Transfer from the Airport to the Hotel and check in. Free day ( depending on the arrival time, activities can be planned ). Meeting at the hotel with your English licensed speaking guide and with the driver at the lobby of your hotel at 09.00. Around 10.15 arrival at the first stop, Yehliu Geopark. (Entrance ticket to Yehliu GeoPark included.) Visit the park and its incredible rocks formations such as the Queen's Head the Candle Shaped Rock, the Ginger Rock, the Mushroom Rock and many others! At 11.15 transfer to Jiufen. The entire coastline here is a veritable sculpture garden that illustrates, in stone, the incomparable artistry of weathering and wave action. Arrival in Jiufen around 12.30 and visit the Old Street where you can have lunch with some typical food in one of the stands. Jiufen is a decommissioned gold mining mountain town, now a tourist destination thanks to its maze of alleyways with delicious food stands and beautiful scenery. At 13.45 transfer to Shifen ( around 30 minutes drive ) and visit the famous waterfall. The train station located down the river from the waterfall area, originally built for transporting coal, today stands as a reminder of Taiwan's history and culture. Shifen Waterfall is a curtain style waterfall. Due to its similarity with the Niagara Falls, it is reputed as the “Taiwan's Niagara Falls”. The voluminous water and mighty force forms mists on top of the waterfall. If the sun happens to shine upon it, there is the chance to see rainbows hanging over the waterfall, perfect for pictures! At 15.00 you will take the road to Taipei and stop in Pinxi for a ( quick ) sky lantern experience! Breakfast at the hotel. After breakfast meeting with your driver and transfer to Leofoo Village. Full day at Leofoo park. Activities to be scheduled. After breakfast meeting with your driver and transfer to Miaoli area. Visit Flying Cow Ranch ( or similar Farm ) and - depending on the season - activities can be scheduled at the Ranch. After Lunch ( Lunch not included ) transfer to Shengxing Station and enjoy the Old Mountain Rail Bike. From Sheng-Hsing Train Station - the highest railway station on the western railway - through the Long-Teng Broken Bridge Historic Site you will arrive at the sparkling green water of the Liyutan Reservoir. At the end of the “ride”, transfer to Taichung. After breakfast meeting with your driver and guide/driver at the lobby of the hotel. Today you will go to Hehuanshan. Crossing the Central Mountain Range on the Central Cross-Island highway and enjoy the wondrous high mountain scenery. Pass by the Bilu Sacred Tree and drive to the highest point of Taiwan's highway: Wuling, 3.275 meters above the sea level. Back to Cingjing and visit the Swiss Farm in the afternoon. Overnight in CingJing in a 3* hotel. Breakfast at the hotel and meeting with your Guide/driver. On the way to Sun Moon Lake a short stop in Puli, famous for its local wine and traditional paper industry and big temples. Arrival in Sun Moon lake and check in at the hotel. 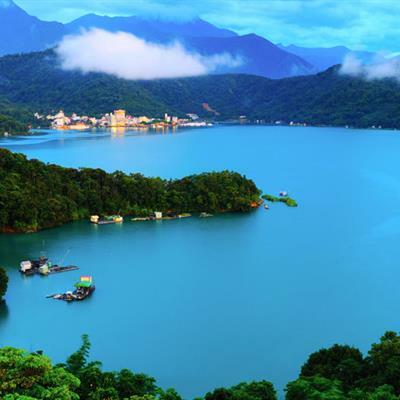 Time to discover Sun Moon Lake and enjoy the majestic scenery. - Cycle round one of the best bike paths in the world: It is about 30 km with hills and will take 3-4 hours with stops at few of the attractions along the way. A local guide will follow you and show the paths. - Cable car overlooking the lake: On a good day you can enjoy a stunning views of the lake with the trip taking about 7 minutes each way, however in peak times the wait can be hours. - Visit Ita Thao: is the origin of Thao people; it is believed that their ancestors, originally from Alishan, chased a white deer to a faraway lake where they found an abundance of fish. They returned to their homeland, brought the whole tribe, and decided to settle down at Sun Moon Lake, as we call it today. Although tribal life is almost extinct now, a visit to Ita Thao allows you to experience the aboriginal culture and you get to taste delicious aboriginal food too. - Antique Assam Tea Farm: Shuili Snake Kiln is the town where remains the eldest tradition of kiln-making. There is a biggest kiln work which is in the Guinness Book of Records by the size of 6.68 meters. Meeting with your guide/driver. In the morning continue to visit the area of Sun Moon Lake. After lunch transfer to Taichung. Visit the 921 Earthquake Museum and in the afternoon/evening visit the National Theatre. Overnight in Taichung in a 3* hotel central located. Meeting with your guide/driver In the morning. 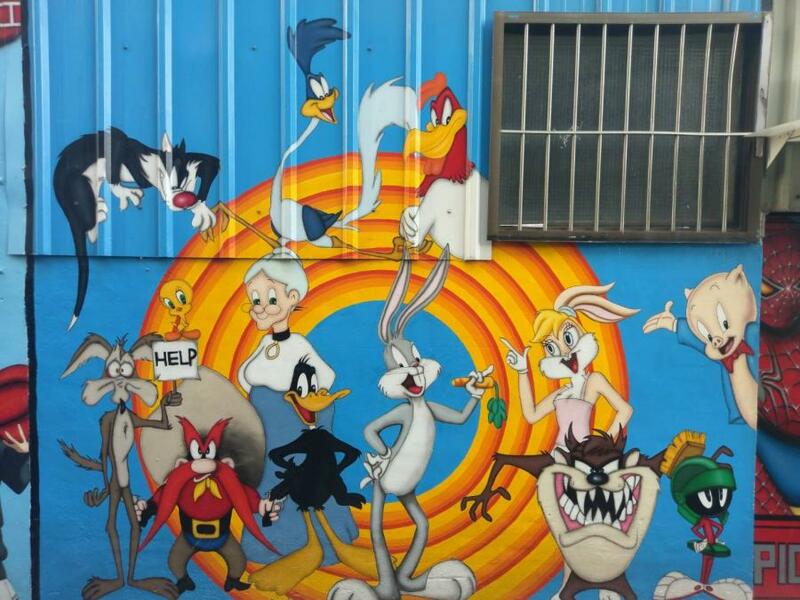 Today tour will start with the Painted Animation Lane, a very short alley all painted by local artists following the theme of comics and cartoon. Next stop will be the Taichung Literature Museum: the Taichung Literature Museum used to be police quarters, which were built in 1932 during the Japanese colonial period. It consists of six buildings, which are used for permanent exhibitions, themed exhibitions, children's literature, workshops and lectures, themed dining area, and administration. Time for lunch in this area, don’t miss the specialities that the market has to offer, noodles, dumplings and buns! Walk will continue to Miyahara, a red-brick architecture built by Miyahara Takeo, a Japanese ophthalmology doctor in 1927. It was the largest ophthalmology clinic in Taichung during the Japanese colonial period.Today is an elegant place with several pastry business, wonderful restorated the building is a place full of history and wonder. Visit the Rainbow Village a “one man show” painted by a very talented, and rather visionary, old veteran soldier, MR. Huang. Transfer to the Taichung High speed train and train to Taipei. Full day car & driver to visit Yelihou, Jiufen and Pinxi. Price also includes: Insurance, parking fees, Fuel, ETC, overnight for the guide/driver and all is expenses. Price does not include: Meals and everything not mention in the “price includes”. Entrance tickets Not included: No tickets are included, to be paid also for the guide, you will choose to do the activities according to the arrival time. Our guide/drivers are official licensed authorized guide. They drive carefully and they know the territory. Guide/Driver and car are available for 9 hours a day. Guide/Driver can decide to change the itinerary in case of emergency as well as you can also decide to change it or stop longer or skip one destination. - You can decide your itinerary, where and when to stop, when and where to eat and where to sleep. - You can change plans in case you want or need. - You can decide your daily schedule, your morning time wake up alarm and for how long you want to stay or visit a place or a restaurant where you would like to stop for food. The cable car might be close due to maintenance or extreme weather, so the price is not included. It's 300 ntd p.p. LANGUAGE OF TOUR GUIDE Mandarin, English. Fare to be paid in full no later than 7 days prior the service begins. 3-0 days prior the start of scheduled tour – 100% penalty. 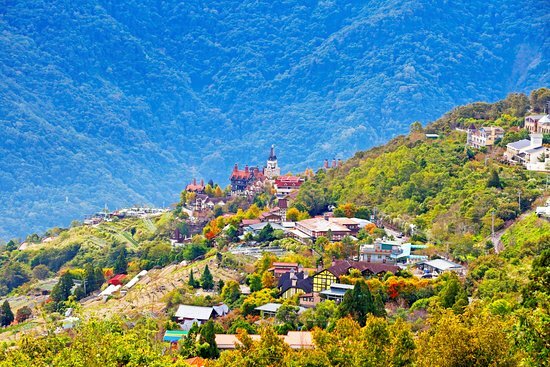 The guide will have the rights to change itinerary in case of weather issue or bad road conditions in Taroko Gorge. Tipping is generally not expected in Taiwan; however it is always appreciated and shows your gratitude for a quality service. Not exactly what you like? Contact us for a free consultation and customization!